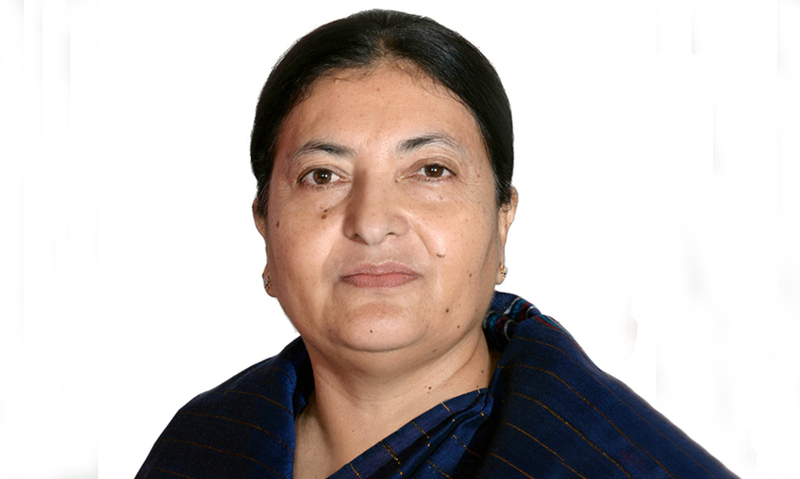 KATHMANDU, Dec 25: President Bidya Devi Bhandari has found herself between a rock and a hard place as the political standoff over an election ordinance shows no signs of ending almost three weeks after the completion of the parliamentary and provincial elections. At the center of the ongoing debate is the National Assembly election ordinance which among other things includes a provision related to the single transferable voting system, a voting system wherein the surplus votes are transferred to the closest rivals of the winning candidate. The ruling Nepali Congress (NC) has insisted that the ordinance, which is awaiting approval of the president, should be endorsed without any further delay. Other parties including Rastriya Janata Party Nepal (RJPN) and Federal Socialist Forum Nepal (FSFN) are also for passing the ordinance in its present shape. Meanwhile, the main opposition UML has said that representation in the upper house should be ensured through majority votes. UML, which emerged as the largest party in the parliamentary and provincial elections held on November 26 and December 7, has questioned the rationale of following what it calls "a complex voting system”, while the constitution has itself cited the need for ensuring the representation of three women, a Dalit and a person with disability or a marginalized community member from each province in the upper house. Even as the parties are portraying the current dispute as a struggle to ensure better representation of the marginalized and excluded communities, the government and opposition are looking to secure their electoral benefit by pushing a system favorable to them. By adopting the single transferable voting system, NC, which suffered a stinging defeat at the hands of the left alliance, alongside some other parties will avoid a situation wherein they will have no representation in the upper house. If the members of the upper house are elected through majority votes, it will put the left alliance to sweep the entire upper house, thanks to a landslide win secured by the UML and Maoist Center in the recent polls. Amid the deepening dispute, other smaller parties including the FSFN and RJPN have also rallied behind the NC to endorse the ordinance. During a meeting with President Bhandari on Sunday, FSFN Chairman Upendra Yadav stressed the need for endorsing the ordinance in its present form. "The ordinance should be issued immediately. Dragging this dispute forever won't help any side," Yadav told President Bhandari, according to a leader present in the meeting. Yadav also said that the current dispute will only prolong the life of NC government as NC leaders appear hell-bent on continuing the government until the ordinance gets endorsed. The president said that she was also in favor of ending the dispute in a peaceful manner. 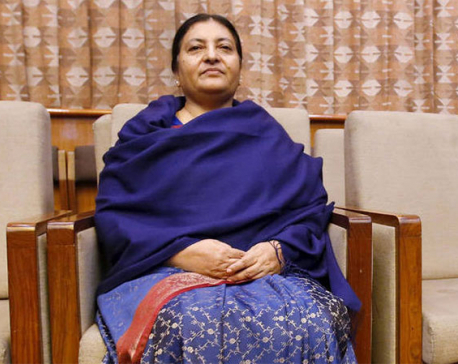 President Bhandari, a former UML leader, has been holding consultation with the leaders of the major parties and legal experts to decide her future move. 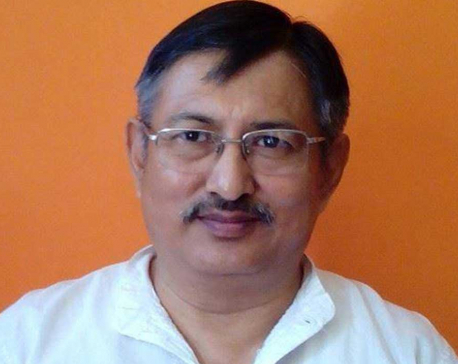 Concerned that the prolonged bickering might delay the government formation, a group of cross-party leaders including CPN (Maoist Center) has taken initiatives to end the dispute. The CPN (Maoist Center) has long been calling for a peaceful resolution of the stalemate. 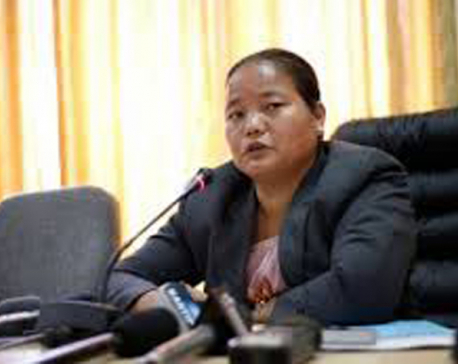 Maoist Center Spokesperson Pampha Bhusal said that her party was in favor of bringing NC on board even at the cost of losing some seats. During an interaction program held in Chitwan on Sunday, Maoist Chairman Dahal also stressed on the need for addressing the concerns of NC. "NC won't have representation in the upper house if seats are determined based on the majority votes system. Adopting the single transferable voting system will give a face-saver to NC. An upper house without the opposition is not a good thing for the left as well. Having few members in the opposition will make debate and discussion sessions livelier," said Dahal.